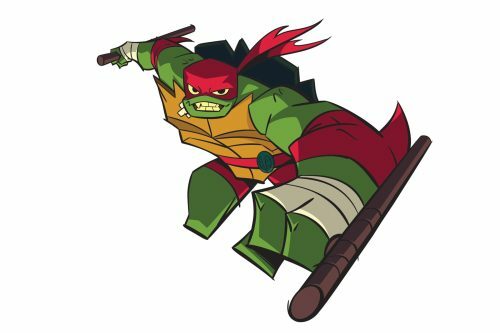 I'm a MASSIVE Turtles fan, ever since the original cartoon aired back in 1987 and the live action movie came out in 1990. I own collectables, toys, the DVD's... Even my phone ringtone is the original cartoon's theme tune, so it's cool to hear that the legacy continues with new comics or cartoons. 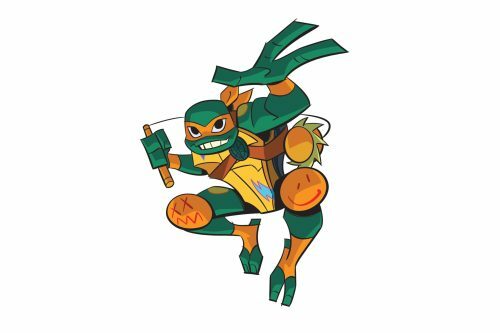 Yesterday the first artwork and information was released by Nickelodeon for the brand new cartoon series titled 'Rise of The Teenage Mutant Ninja Turtles'. Not only do we now have an African-American April O'Neil (who seems to wield a glowy-green baseball bat), but each Turtle is now a different species (no longer brothers?) 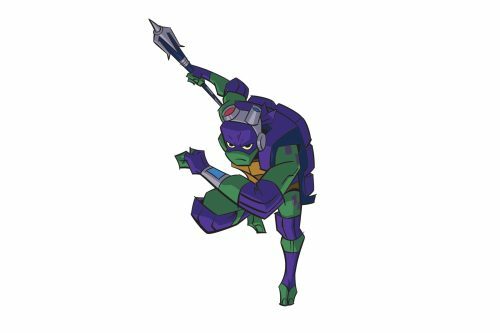 with Raphael now using tonfa sticks instead of sai's, Leo with an Odachi sword instead of twin katana's and Mikey using a kusari-fundo instead of his nunchucks. Donny still has a bo staff, but it's a "tech" one now! 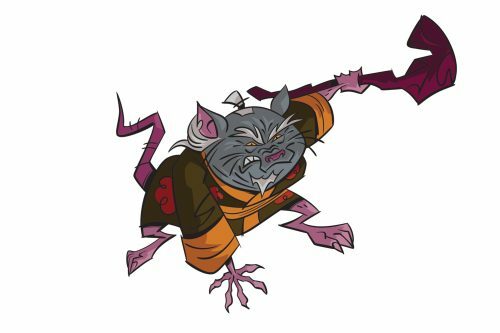 Even Master Splinter looks strange, more like Egg Shen from Big Trouble in Little China than the skinny long-nosed rat we've been used to. We'll see if change is good. 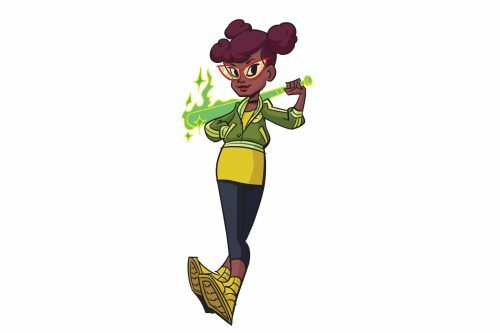 The first African-American April O'Neil — a savvy New Yorker and first human ally of the turtles — is played by Kat Graham! 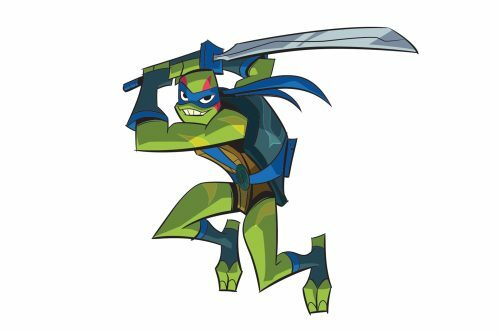 Leonardo (Ben Schwartz) is a red-eared slider who boasts “irreverent charm and a rebel heart.” Weapon of choice: odachi sword. Splinter (Eric Bauza) is part father figure, all sensei to the turtles! 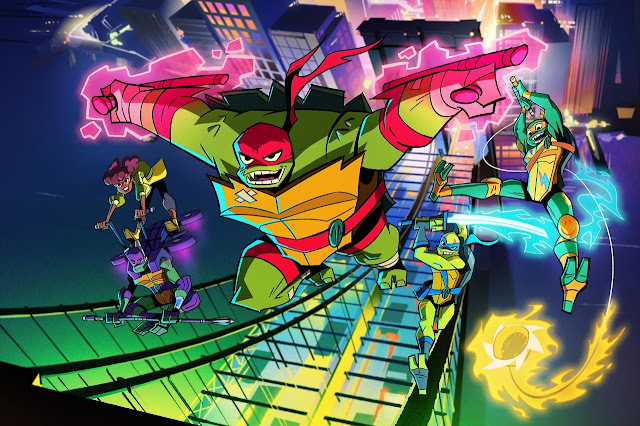 The cowabunga voice cast of @nickelodeon‘s all-new series, Rise of the Teenage Mutant Ninja Turtles! 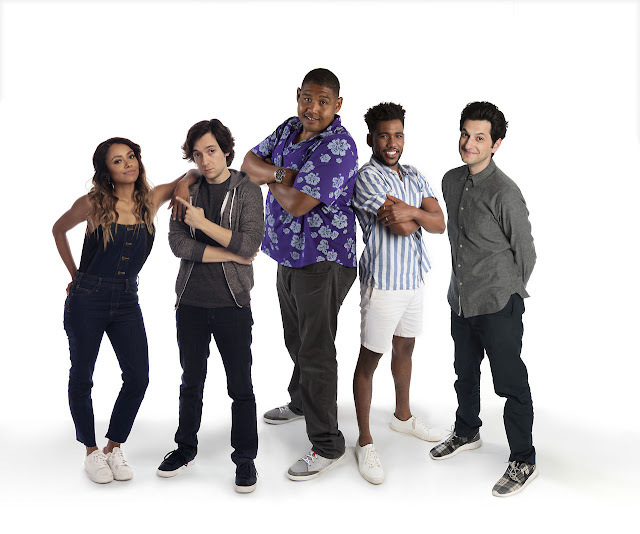 (left to right): Kat Graham (April O’Neil), Josh Brener (Donatello), Omar Miller (Raphael), Brandon Mychal Smith (Michelangelo) and Ben Schwartz (Leonardo).